Supergiant Games, makers of Bastion and the upcoming Transistor, would like you to know that they're totally cool with you streaming "Let's Play" videos of their games. The concept of the Let's Play has come under a bit of fire lately, as Nintendo began forcing ads onto popular Let's Plays of their classic games, though they appeared to relent, at least somewhat, shortly afterward. Similarly, the company blocked streaming of their popular fighting game Super Smash Bros. Melee at last weekend's EVO tournament before relenting and allowing the stream to proceed. Amid all of that, the concept of the Let's Play video has started to feel a bit uncertain. 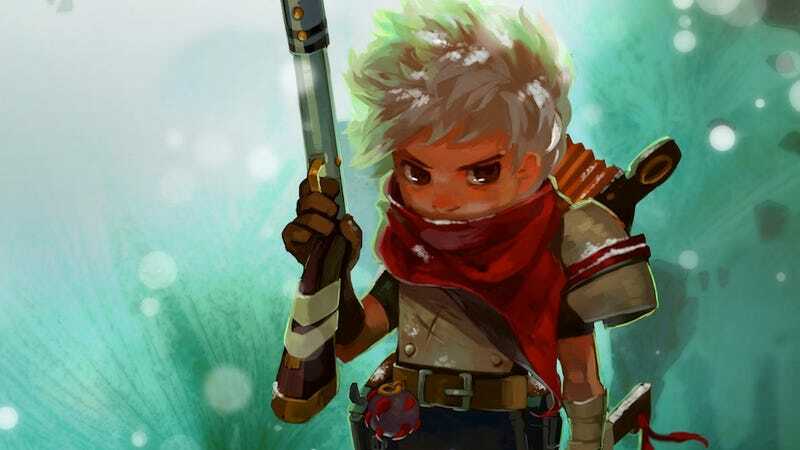 Supergiant's move comes as a response to those who write in asking if they're allowed to stream Bastion, a group whose number has doubtless increased after Nintendo's recent activity. You’re welcome to create Let’s Play-style videos of our games and monetize them if you want. In more detail: Supergiant Games permits you to create free or ad-supported videos (including Let’s Plays, speed runs, reviews, commentary, and so on) using captured or streamed video from Supergiant Games’ video games. You do not need to request written permission to create such content. Additional written permission from Supergiant Games is required for any use of Supergiant’s art, music and audio content outside of captured in-game footage (please e-mail support@supergiantgames.com with any such requests). Should you decide to post videos containing Supergiant content, we request that you provide a functional link to our site or a product page for the version of the game used in the making of said content.